Almost every IT manager encountered a videoconferencing problem using usual domestic webcam. 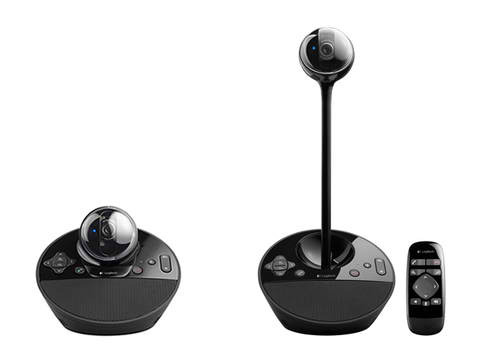 It may be a good idea to use domestic webcam to make videoconference between to participants, prepare ahead webcam, light level in the room, connect speakers and microphone. It may serve as a solution if participants not need to move, show prospects and whitepapers. In any case solution with using usual webcam will be some preposterous. Isn't it? Buttons placed on the main surface and has a double on remote control. In my opinion plastic with fine quality, without notch and smell and without backlash. All wires supplied with velcro for convenient arrangement on the desktop. There is no face tracking in Logitech BCC950.